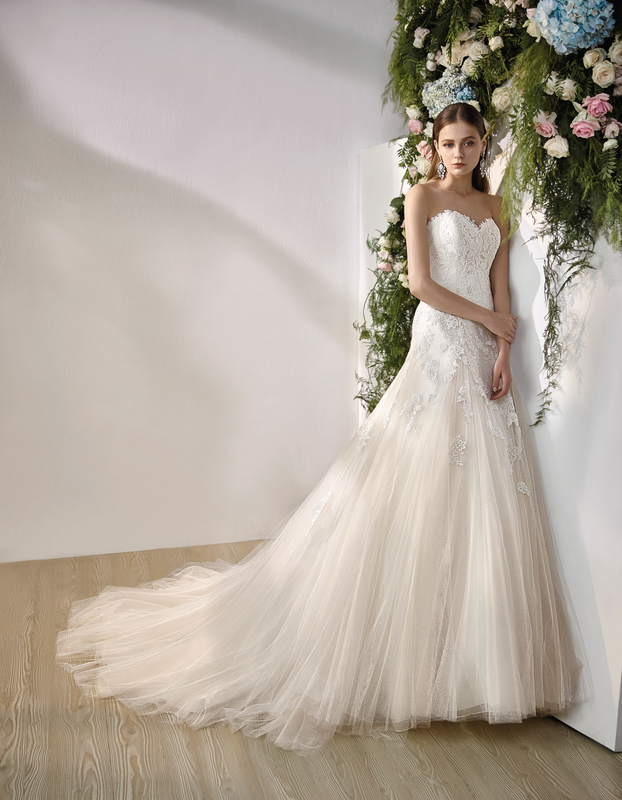 There’s not so much rules as guidelines when it comes to wedding dresses, and it’s always better to follow your own instinct than to begrudgingly accept someone else’s advice. It is, after all, your wedding. For some the veil is non-negotiable, with the groom pulling back to cloth for that first kiss an integral part of the ceremony, but no one says you have to. Having your hair and make-up done only to wear a veil as you walk up the aisle may seem counterintuitive. Instead try a tiara, which sits atop your head like a crown and will no doubt draw gazes from your guests. To get the best of both worlds, a veil can be worth over the back. The dress itself is a more complicated matter. To buy or to rent? Do I need a garter? What if my fiancé sees? While wedding planners can allay many of these anxieties, some will have to be tackled head on. Wedding dresses come in all manner of styles and designs, from the traditional to the adventurous. For some, wearing your mother’s, or even grandmother’s, dress is a time honoured tradition and it might be one you want to pass on to your own daughter. Providing your relative doesn’t object (and it’s always better to ask in advance), you can have the dress altered for a better fit or to give it a modern twist. Tradition beckons, but trends for this year tend more towards minimalism. If less is more, it serves to follow that the wedding dress would also be applicable. 3D floral details on an otherwise unassuming dress will speak volumes and draw attention to the bride. Big and bold floral embroidery will also continue to dominate, but plunging necklines will be seen across the board. Don’t feel pressured into bearing skin just because current trends point that way; there’s no good spending your wedding feeling uncomfortable in your own skin and worry about a slip. Bespoke options provide utter peace of mind as well as ensuring you end up with exactly what you want. Say you’re after a minimalist design with floral accents and a more conservative neck line, any one of the county’s gifted tailors and designers will be able to oblige. Plunging necklines might be a bit risqué for some, but the off-the-shoulder look is a staple of the fashion world. Chances are you’ll have a few shoulder-bearing staples in your wardrobe already. It was really only a matter of time before the ubiquitous style found itself way into the bridal world. The benefit of this style will be to show off your collarbone, leaving you looking sensuous and elegant. A carefully chosen necklace will only heighten the effect. For added embellishments, there are corsets and bodices to consider, though it might be worth seeking the opinion of your maid of honour or wedding planner just to be on the safe side. To truly turn tradition on its head, you could always wear a suit alongside the groom. Many of the world’s top celebrities past and present have stood out from the crowd in a well-tailored suit. It’s a bold move, but it will certainly leave an impression. The cardinal rule for bridesmaids is not to upstage the bride. This should go without saying, though it nevertheless needs reiterating. It can be tough to downplay your own look to benefit the bride, but rather than inciting competition, try to dress to complement. In many cases, the bride and groom will have a particular colour scheme or style in mind, with some going so far as to pick out specific dresses for bridesmaids. In any case, it’s always worth sitting down with the bride or, better yet, go for a shopping spree.